The Canadian Children’s Book Centre is now accepting submissions for its seven children’s book awards. The submission deadline for all awards is December 17, 2014. If you click on the links below you will find information about each award. Please be sure to read all of the submission information and criteria for each of the awards, as it varies from award to award, and some of the criteria has changed from last year. Only works by Canadian authors and illustrators, published between January 1, 2014 and December 31, 2014, are eligible for submission. The award marked with an asterisk (*) is only open to Canadian publishers. 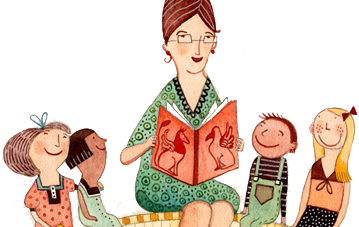 New this year: The Marilyn Baillie Picture Book Award is now open to non-Canadian publishers, provided all of the other eligibility requirements are met. Books submitted that do not meet the eligibility requirements and criteria will not be considered and will not be returned. It is the publisher’s responsibility to determine what books are eligible for each award. You are required to complete a Title Submission Form for each title being submitted. Each award has its own specific form which indicates the number of books required for each submission. The forms are available in two formats – PDF and RTF. Click on the PDF link or RTF link to download the title submission form(s). The submission deadline for all awards is December 17, 2014. Please note this is a firm deadline. All submissions must be received by this date (not postmarked by this date), as the CCBC office will close for the holidays after December 19. If you do not think that your submissions can reach our office by December 17, please contact Meghan Howe immediately at meghan@bookcentre.ca or 416.975.0010 x 222. Note to US publishers, foreign publishers and self-published authors using printers in the US: When you are sending your submissions, please make sure that all courier charges, including duty, are billed to the sender. The CCBC cannot incur these costs. Packages flagged as COD will be refused. If you have any questions regarding eligibility or the awards in general, please contact Meghan Howe at 416.975.0010 ext. 222 or meghan@bookcentre.ca.